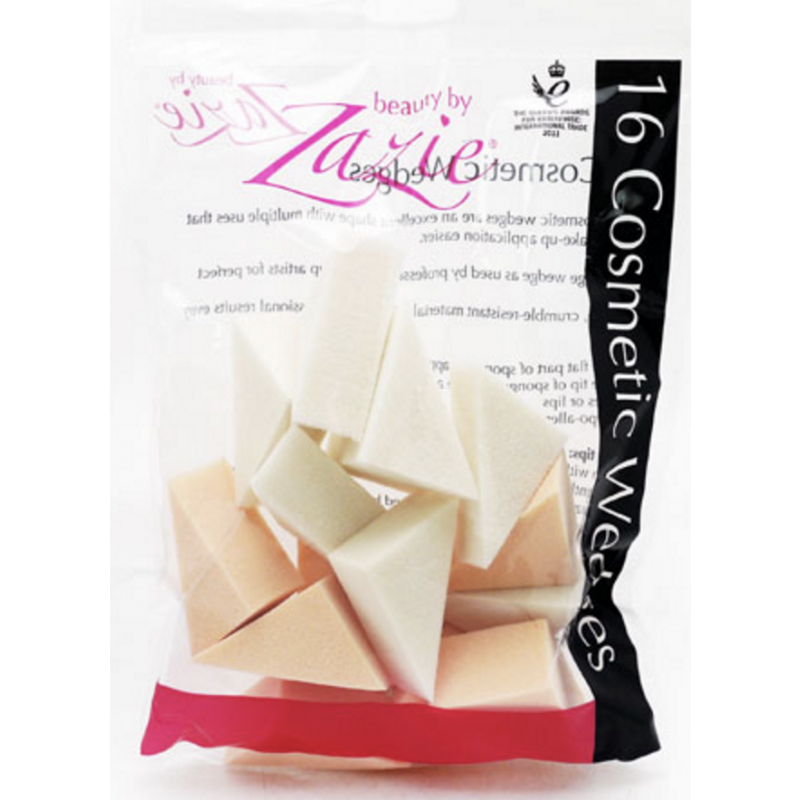 Zazie Cosmetic Wedges is a pack of 16 triangular makeup sponges. Zazie Cosmetic Wedges are well suited to applying liquid or cream foundation, concealer and contour. Use the sharp edges for fine details and sculpting, and the larger, flat surfaces for all over coverage and blending. Pro tip: dampen the sponge for a more controlled application.